The April edition of SLUG Mag’s Localized will feature some of Utah’s finest wordsmiths. Performances by Heather Grey, Malev Da Shinobi and Earthworm & Clësh will have the Urban Lounge moving with curated beats and thought-provoking rhymes. Come down and toss a couple back at the $5 show on Thursday, April 18. As always, SLUG Localized is sponsored by High West Distillery, 90.9 FM KRCL and Spilt Ink SLC. “Variety’s the very spice of life,” a quote from William Cowper’s poem “The Task” has become cliché but still holds meaning for those who shake things up in the decisions they make. In anything you do, it’s easy to get wrapped up in your influences, but doesn’t mean you can’t mix it up a bit and have fun with it. 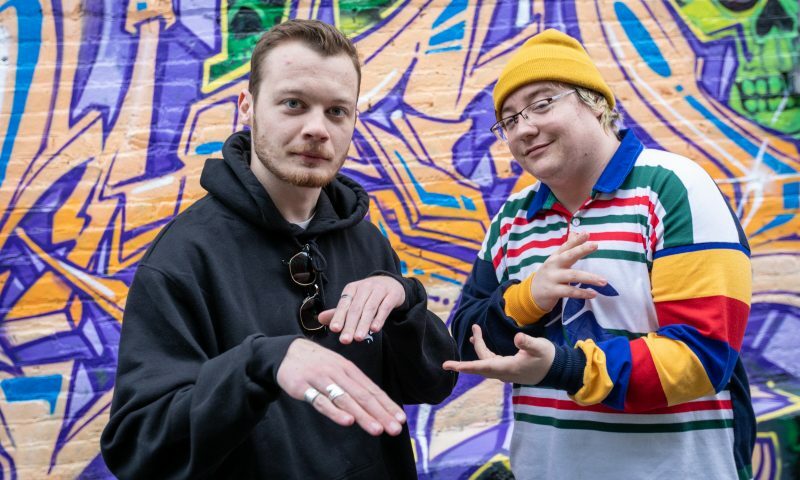 That’s just what Ogden hip-hop duo Earthworm & Clësh have done with their releases. 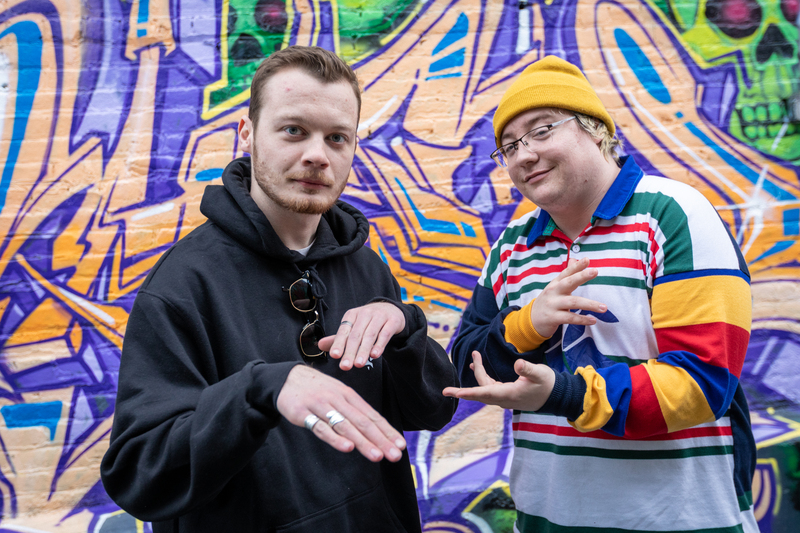 With a cool and calm delivery with recent releases Flowers and their self-titled album, Earthworm & Clësh are whipping up a smooth, jazzy style hip-hop in Ogden. Listening to their new, self-titled release, it’s easy to hear Earthworm & Clësh’s modern hip-hop influences. Their tracks are dripping with smooth lo-fi instrumentals with hints of jazz and thought-twisting lyricism. The duo’s influences run deep with the skateboarding scene as well as late-’90s and early-’00s nü-metal. Clësh thinks back to the groups who got him into thinking about music, saying, “I was listening to Limp Bizkit and Linkin Park. I actually didn’t get into hip-hop until about 10 years ago.” Earthworm reminisces on his upbringing—he says, “I grew up on Queen and Billie Joel.” Earthworm didn’t start listening to hip-hop until he was 12, listening to everything on Tony Hawk’s Pro Skater like MF Doom and Atmosphere. Naturally, hip-hop always seemed to be on the fringes of what they were listening to, whether it be old-school classics or the blend of hip-hop and hard rock that was everywhere in the late ’90s. “It always came from a vocabulary side and not really a musical side. I liked writing and would do it when I was bored, and realized I could write songs,” Earthworm says. In their constant grind of making music, Earthworm & Clësh met at a show where Earthworm was performing. Clësh was skeptical upon first hearing Earthworm perform a live set he was filming. They wouldn’t end up meeting again until months later, when working together on a track Earthworm was featured on. After appreciating each other’s styles, they linked up on working on and performing zugzwang in 2015. Earthworm has been performing with Clësh ever since, and they have now just released their self titled album. “Now I don’t think I could do a show without him—we are so intertwined musically,” says Earthworm. Don’t miss Earthworm & Clësh at Urban Lounge on April 18. It’s going to be bumpin’.